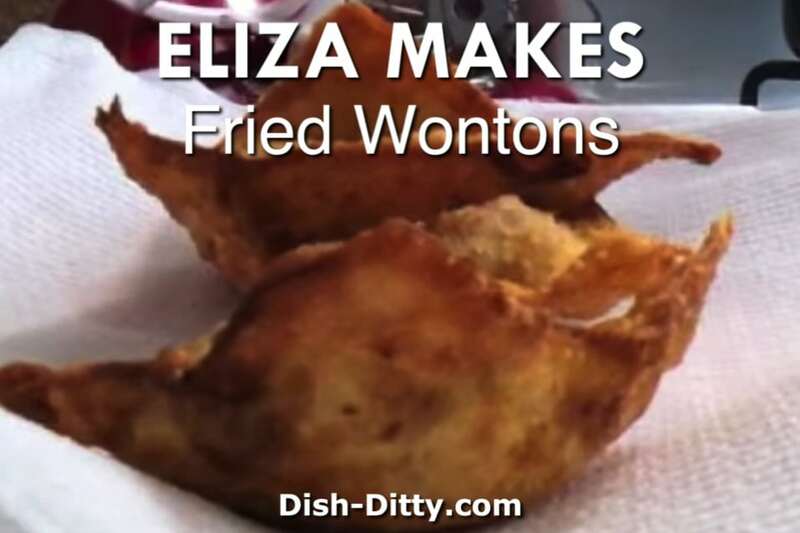 Eliza is at it again, making another fun video showing us how she makes her Mom’s, Sue’s, Fried Wonton recipe. These wontons are so good, they have to make dozens to satisfy our family. Sue grew up in San Jose where her parents owned a Chinese restaurant. This is one of the recipes that she learned from her father and now she’s passed it onto her daughter Eliza, and as you can see, who is passing it down to her daughter. Eliza and her husband Joey team up to make these fun cooking videos. This one is probably my favorite since it’s one of my favorite recipes of her mom’s. And finally it is recorded (kindof). Unfortunately, there isn’t any measurements for this, but watch the video a couple times and you’ll probably be able to guess at the amounts. I’ll have to work on these to get real measurements… soon, I’ll try to do that soon. Fried Wontons by Eliza Makes! View the full Eliza Makes Wontons Video on YouTube. Combine equal parts pork and shrimp in a bowl. Add a healthy dash of corn starch and soy sauce to taste. Mix well. Scoop the mix into the middle of a wonton wrapper. Sprinkle a dash of sugar on the mixture in each wonton. Wet the edges of the wonton wrapper with water and fold. Fry the raw wonton in oil until golden. Dry the fried wonton on a paper towel. Serve and Enjoy! No Replies to "Eliza Makes Fried Wontons Recipe"